Guwahati: Finally the much hyped Samiran Barua arrived in the state. Young director Praduyt Kumar Deka’s ‘Samiran Barua Ahi Aase’ based on Manoj Kumar Goswami’s story which is released state-wide on Friday, March 30, with mixed reactions of the viewers. “To give some other’s story visual effect is really tough. I have found his attempt towards the film is good and refreshing. But the execution is not mature enough,” said noted film critic Chandan Sharma. “I think the story is not 100 per cent justified in the reel version. He is still a young director and he will learn the craft with his experience in the days to come,” he added. Tapan Das who plays the character Samiran Barua says that the director needed to be applauded for his efforts to do something new. “Praduyt is a young guy. We have to appreciate his attempt to do something new and experimental,” Das said. The director Praduyt Kumar Deka (c) with actors. However, the director is not fully satisfied as he had to undergo financial crunch during the shooting. “I had to compromise in many areas due to financial crunch during the shooting. On many occasion I could not proceed according to the plan. Sometimes I had to cut short my shooting within a day while it needed two or three days for a better result. But I tried my best to justify the story. I wish I could do better,” Pradyut Kumar Deka, the director of the film told Seven Sisters Post. Some of the scenes in the film were shot in deep jungles of Bhutan to show the hideouts of the rebels or in some encounter moments. “Many scenes I cannot keep in the film according to my wish as the censor board has cut it. I believe that it makes your film less real,” Deka added who is all set to work for his next venture ‘Surjaastra’ from May. the backdrop of a rebel group’s struggle and the character of Samiran Barua is based on its leader. Deka further said that he wanted to do a socio-political film instead if a typical family drama. “No one has tried to make such films. I think it would help people to realize the situation of the state in future,” he said. 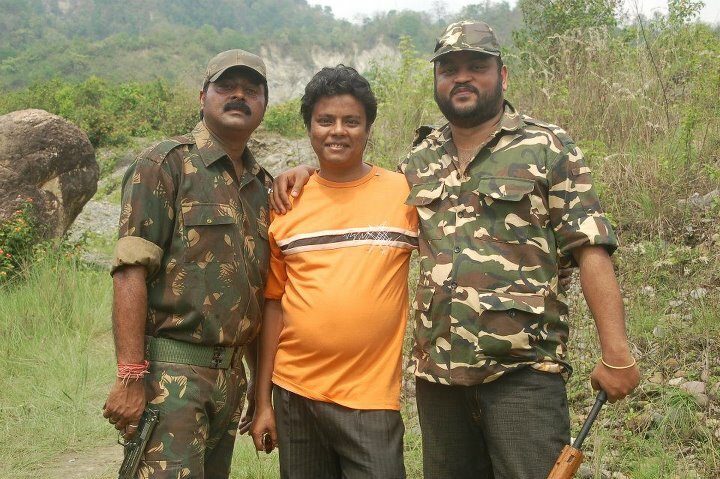 The film has several known artistes like Tapan Das, Brojen Bora, Baharul Islam, Sanjiv Hazorika and others. The music was composed by Kishore Giri.